Last Saturday we found ourselves in Newcastle hunting for cake. Feeling slightly smug about walking the 45 minutes to Toon rather than catching the Metro, we were on the hunt for a big slice of something creamy and sugary. Unfortunately looking for cake at 3:00pm in a city crammed full of hungry sale shoppers is never going to be easy. Every window we peered through, we were met with full tables and empty cake stands. We were almost ready to give up when we happened to stroll past the new branch of Zapatista, our favourite Burrito Bar, on Grainger Street. You're probably wondering how a trip for cake resulted in us in a queue full of people ordering Mexican food! Well, as we were walking past we suddenly remembered that Zapatista recently added churros to their impressive list of food, and the promise of something hot and sugary on a cold January afternoon was more than enough to make us head for the door. I'm not sure everyone would immediately think to head to Zapatista for a sugar fix so I'm here to tell you all about Newcastle's best kept secret sweet treat. For the fantastic price of £6.00 you can order a portion of Churros with two cups of coffee - bargain! Unfortunately we weren't quick enough to see the sign and being greedy we automatically ordered a portion each which was probably a little bit too much even for expert food monsters like ourselves. 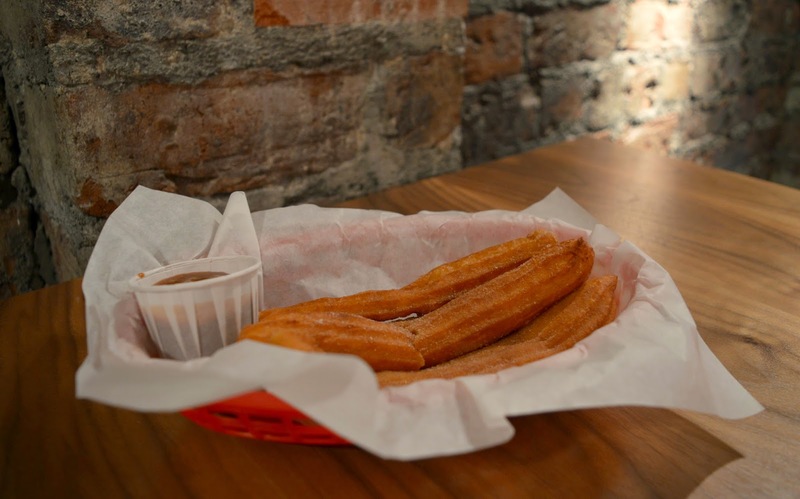 Churros at Zapatista come with a choice of two thick sugary dips - chocolate and lime or sticky toffee. As we had two portions it only seemed right that we picked one of each ... so even though we left a little full at least I can report back on the whole Churros menu. A hot sugary treat is best served with coffee and we were surprised to see that Zapatista also offer a good range of hot drinks. Happily clutching our trays of Churros and coffees we headed upstairs for the full Zapatista experience. 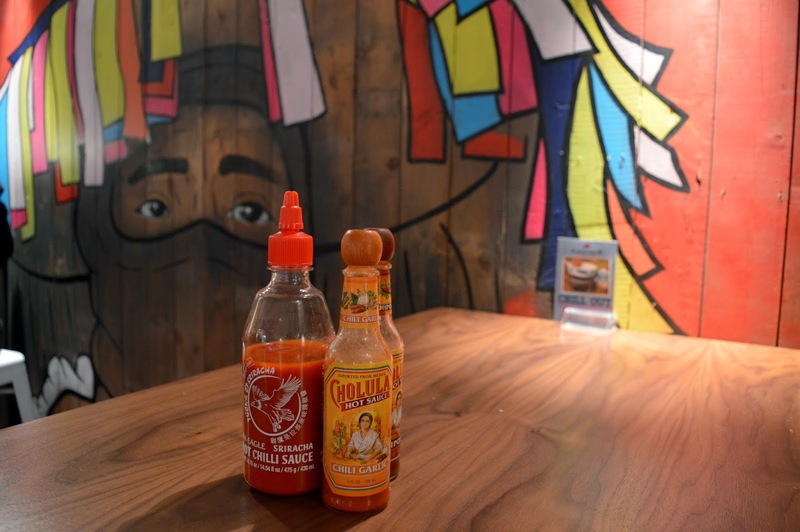 Much like the original restaurant, the branch on Grainger Street is splashed with bright coloured murals. 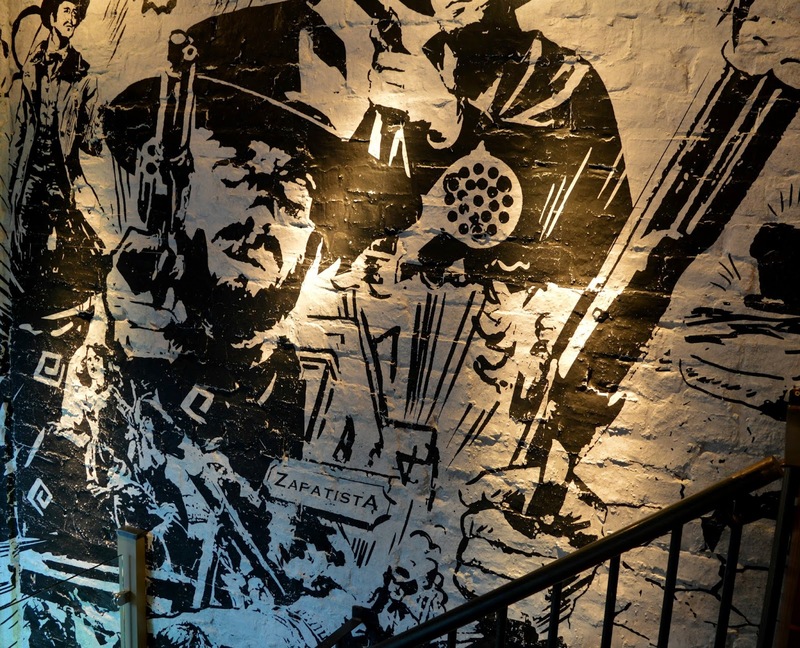 Everywhere you look - the ceiling, the walls and even the toilets are decorated with vibrant pictures, making it such a fun place to eat. The Churros were just what we wanted. Sugary, naughty and very tasty. 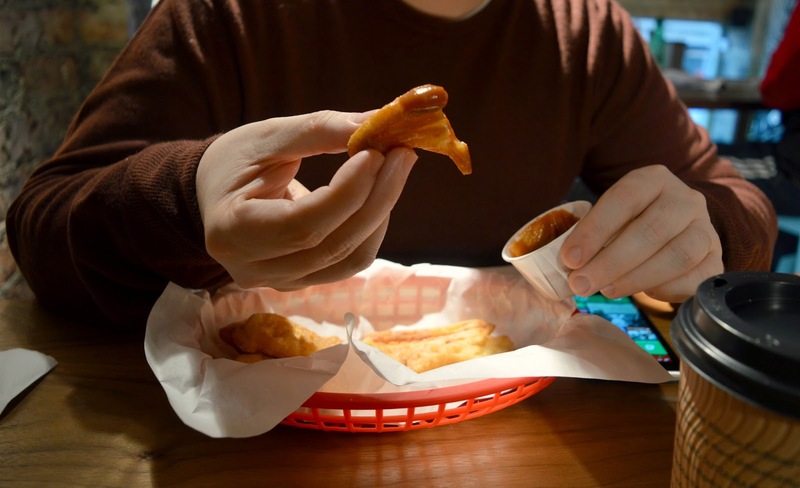 They were fresh and hot and the dipping sauces were the perfect accompaniment. Although I loved the toffee, my favourite was the chocolate and lime. I'd recommend you give that one a try if you go. 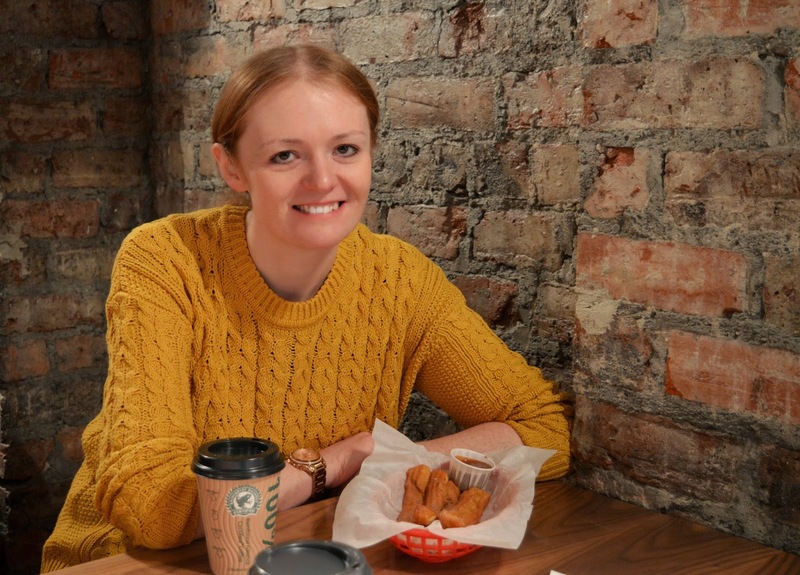 Sometimes it's fun to think outside the box when you're on the lookout for food and I think it's safe to say that Churros at Zapatista are a very welcome addition to the menu and a fantastic alternative to cake. I love Zapatista, the burritos are killer! The cowboy mural on the wall was done by my good buddy, he also branded Pet Lamb. Talented boy. I love the grafitti decor! Chocolate and lime sounds like a really interesting flavours...it's been years since I tried churrros. I'd definitely be interested to try them again! I love chocolate and lime, Simon and I have a bit of a love of chocolate lime sweets, we always take them on road trips with us! I'd definitely recommend you try these ones then! Do it before the Winter is over, it's a great way to warm up! It took me a while to get myself there, but when I did I wondered what had kept me away for so long! I absolutely love churros, but it is so hard to find a place that genuinely makes soft and tasty. They look amazing though and the dipping sauces sound ace, although i'm not sure I would instantly think of chocolate and lime going together! The venue looks fab too, loving the graffiti! Chocolate and lime is such a good flavour combination, believe me! Oh Churros. Not so easy to find in my French city, but I managed to get some at the Christmas market a few weeks ago! I'm having a little catch up on posts from my favourite blogs as I've been out of the loop for so long and I've just noticed your new layout (which has probably been up for ages, if so then I apologize... but I am back now!) I love it, it looks so professional and the new colour scheme is great too! I love Churros, they are so yummy! I wish we had a place like this down south. Those look amazing - I love churros. Don't you just love going somewhere just for dessert? I discovered churros a couple of months ago when I had a chocolate, hazelnut filled concoction that was so sweet and yummy. I think I'd definitely go for the chocolate and I love that there's lime to just cut through a little bit of the sweetness. Sounds amazing! YES! One day I'd quite like to just do a dessert tour of the city, stopping in a few different places and just ordering myself a pudding! I've seen churros popping up all over the place lately and I am for sure intrigued with my sweet tooth! Hopefully convince whoever I'm next in town with to try here! Lovely post, Churros are just the best. I sampled some amazing ones on Saturday night which I feature in my latest blog post :) the ones you had look amazing and I am sold on the idea of Chocolate and Lime dip! Found you via Sarah at Daydreams of Summertime. These sound delicious! I'm from North-East England, so I might have to give this place a try next time I'm home. The Mexican restaurant we used to go to closed down. I've never had Churros before, they look delicious!!! The chocolate and lime sounds delish! I love churros but can't eat too many which is always a plus point with sugary treats. I only recently discovered this shop and went to the branch near Northumberland Street for the first time a few weeks ago. BEST BURRITO EVER! I'll definitely try some of these next time I pop in! Yum! I really want churros now. Yep, at 10:30 at night. Dammit. Churros will forever remind me of being at festivals since they have started appearing in vans. They're always a great idea until you try to hold a cider and the chocolate dip, then you have no hands free for eating!